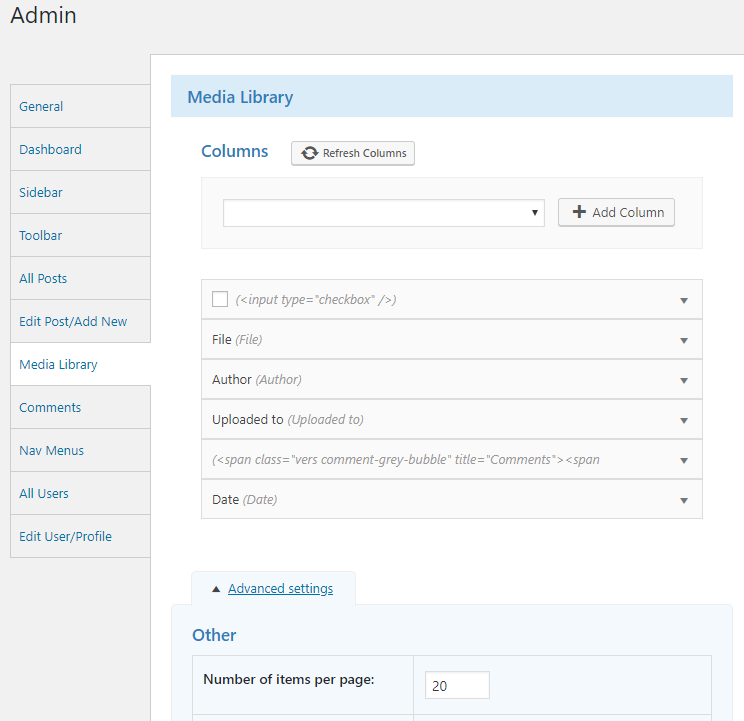 How to customize admin Media Library screen. You can customize to columns for Media Library list screen. This can be Drag&Drop column items to edit and reorder columns. If do not have the columns, My WP is need register columns of Media Library, so please refresh the columns. 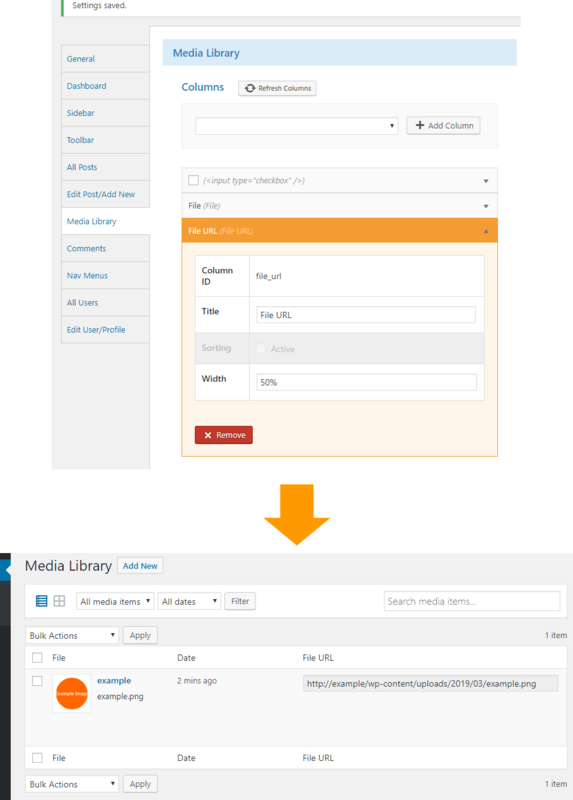 This features is hide specify items, change the number of fiels for media library list.